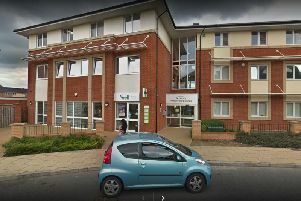 A former night warden at a University of Northampton halls of residence has spoken of incidents of "extreme" anti-social behaviour and issues with drug taking and dealing, logged over a 15-month period. Mara Lane was residential officer at St John’s Halls of Residence, the accommodation block near Victoria Promenade, between October 2016 and December 2017. She spoke out after the incident reported last week by the Chronicle & Echo where fireworks were set off into crowds of students at the new Waterside campus. She described incidents of drug-taking, suspicions of drug dealing in the halls and anti-social behaviour. A spokesman for the University of Northampton, while disputing the severity of some of Mara’s claims, said there was a zero tolerance policy for its students and that anyone found committing such offences face expulsion and possible criminal charges. The spokesman also said the university carried out a full review in January of this year which resulted in a raft of new measures being introduced. This included funding dedicated police officers to support the university. Mara Lane’s role at St John’s was to provide late-night pastoral support but she said she ended up logging hundreds of drug-related incidents. She recorded 56 drug-related incidents in the first three months of the 2017 academic year. Mara said students told her they were sometimes afraid to leave their rooms because of anti-social behaviour that sometimes escalated. Between September 2017 and the end of December, Mara said she logged seven different injuries involving knives, two of which she described as serious. "One girl had a very nasty injury in which a blood vessel was nicked by a very, very sharp kitchen knife, and believe me, it was no accident. There was blood everywhere. "We got her to hold her arm up to slow blood flow and 999'd her to hospital. At the hospital she coughed, the vein split and her blood loss increased dramatically. If she'd coughed before she got to hospital she could have died." Speaking generally about the atmosphere at the halls, she said: “It was a really horrific, dangerous situation. It's living your worst nightmares. That's why I had to leave. "My job was pastoral and welfare, but I was just reporting the most extreme anti-social behaviour that you wouldn't wish on your worst enemy. "Some of it reminded me of the trouble at Waterside Campus [the setting off of fireworks into crowds of students]. We didn't have fireworks like that but students would often run through the building screaming." Mara said she believes the drug dealers had no intention of either studying or taking part in university life. Rather, they planned to use the St John's Halls of Residence as a base from which they could get rich, selling illegal drugs to students. It is a variant of schemes sometimes referred to by police as 'county lines'. In November last year, Mara logged with her bosses that plainclothes police officers had chased people they believed were heroin dealers from behind the Royal & Derngate and through the St John's building. One was arrested on suspicion of dealing Class A drugs but was later released without charge after a search of his room. Warrants were issued for two more people. Mara also believed that large amounts of the highly potent cannabis known as “skunk” were being brought into the building to be sold. She said: "They were coming in through the £50,000 security barriers with suitcases and they were packed full of skunk. It would absolutely stink." The university spokesman said: “The university cannot speculate as to what was in a closed suitcase, but any report correctly made involving potential drug use would lead to the individual in question being investigated. Mara claims that despite her logging incidents and passing on information verbally to both the university and police, the problems remained and she felt that no-one “would believe me most of the time”. She said: "No action was ever taken. I was just told to get a thicker skin. Nobody would believe me most of the time." Mara left her role in December 2017. The university spokesman added: "The university carried out a full review of security in January 2018 and extensive improvements across the university's premises. “Measures introduced have included a doubling of security personnel, the introduction of photograph ID cards for all students that are required for access, a comprehensive review of the visitor policy for Halls of Residence, an upgraded access barrier and enhanced CCTV coverage at St John's. “The University has a zero tolerance policy for students found to be supplying or in possession of illegal substances. "Following investigation, those found to be committing such offences risk expulsion from the University and possible criminal charges due to our close working relationship with Northamptonshire Police. "We know that criminals view the student population of all towns and cities where there is a University as potential targets. Since October of this year, the university has been funding a policing team which works alongside university security and safety staff. Sergeant Lorna Clarke, who leads the university team, said: “Our policing team of five constables and myself, paid for by the university, works to help keep students and staff safe and tackle any criminal activity taking place. “We are also using other police resources including Neighbourhood and proactive teams to gather intelligence and target any individuals who may be involved in illegal activity at or relating to the university. A police spokeswoman said: “Northamptonshire Police is constantly receiving and assessing intelligence relating to criminal activity and will investigate and act accordingly. "Two warrants were carried out at the university [on Friday, October 19] under the Misuse of Drugs Act, however, nothing was found on either occasion.